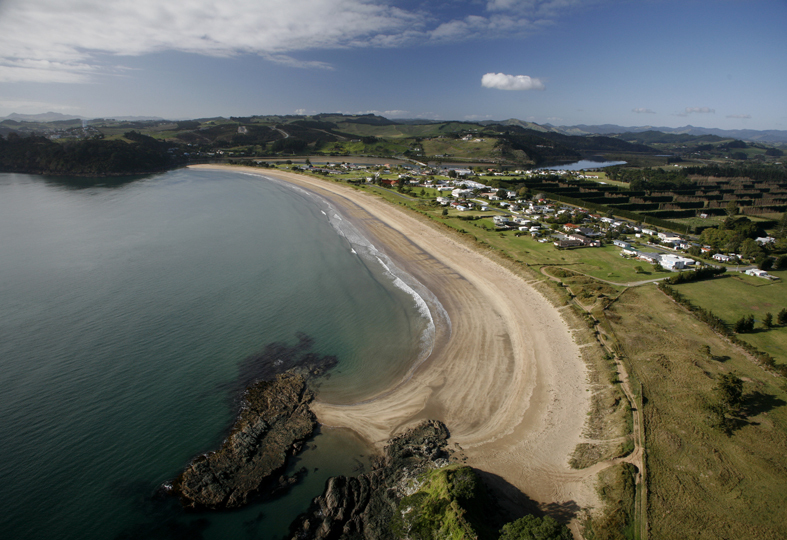 The real Far North around Kaitaia can boast some of the best beaches in the world. Here are but a few of what we have to offer. The Far North is a vibrant, yet generally undiscovered area, offering, among other things, a spectacular array of nearly deserted beaches for all to enjoy. 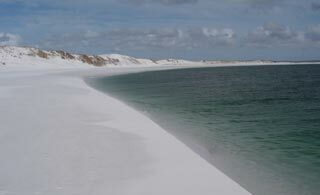 In some areas, giant sand dunes rise from behind and beyond the beach. In others, thick forests border the shoreline inland of the waterfront. For all the Far North has to offer, one wonders why the word “undiscovered” is sometimes applied to the region. Come see and discover the beautiful Far North around Kaitaia for yourself. 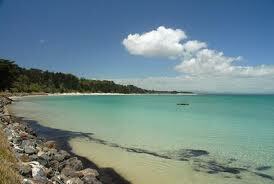 Spirits Bay is on the east coast a the northern end of the Aupouri Peninsula. It stretches almost all the way to Cape Reinga from where the above picture was taken. 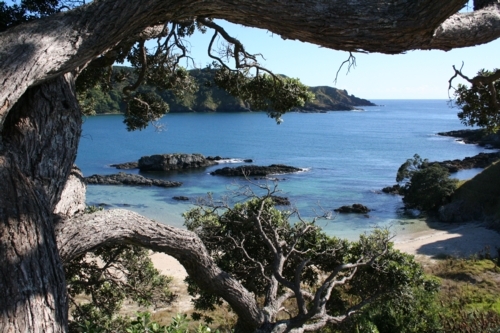 Cable Bay, off SH10, where you'll find the crushed shells lend the sand a pinkish hue and rock pools with a few seals on a lucky day. Coopers Beach, next door to Cable Bay, is another great beach to stop at for a day and relax on the golden sand and have a swim. Rangiputa on the Karikari Peninsula is a stunning beach with esquisite turquoise waters that make you think you are in a pacific hideaway. Remote, peaceful and scenic, unspoilt Henderson Bay is the place to get away from it all. 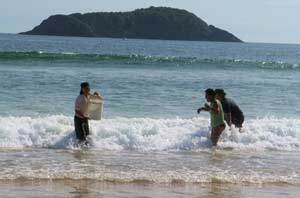 Famous for deep-sea style fishing off the rocks, Henderson Bay offers quality and quantity of catch. Its also great for surfing. 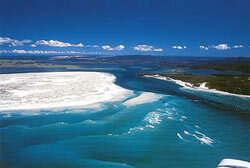 Parengarenga harbour boasts NZ's whitest sand and is a great Kayaking and fishing environment. 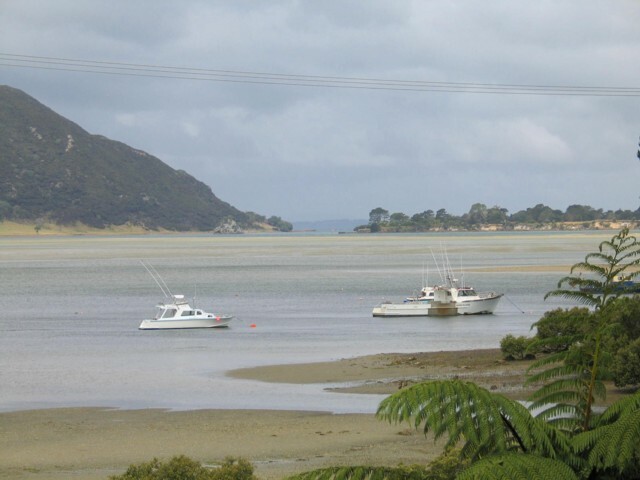 Houhora Harbour is located approximately 30 minutes north of Kaitaia,On all weather sealed roads SH1. A real favourite with many locals. Beautiful clear water and excellent fishing. A remote dream location with no public access. The only way to visit this pristine, deserted area is by hiring a local guide and explore the remarkable Great Exhibition Bay on quad bike, horseback or 4WD. This vast wonderland of white silica sand is truly one of New Zealand's best kept secrets. Claimed to be the purest deposit of silica sand in the world. 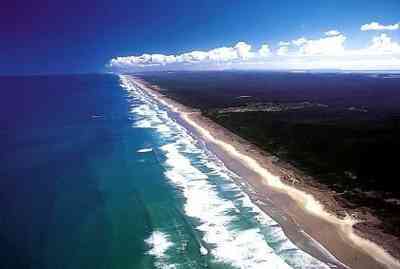 Ninety Mile Beach on our the western side is actually 64 miles long but that does not make any less spectaclar. 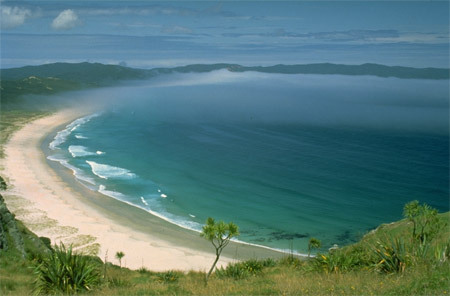 The longest beach in New Zealand it boasts great surf fishing. 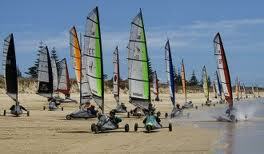 Tours are avaible to drive up and explore the many wonders of this fanmous beach. Shipwreck Bay is located at the start of Tauroa Point. 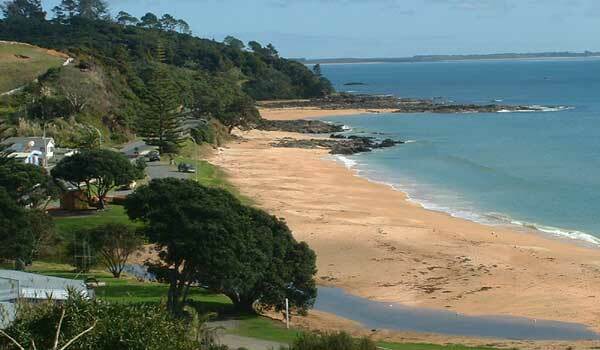 While a great bay for swimming a short walk along the rocks you will encounter some the greatest surf in New Zealand. Experience world famous surf breaks such as the 'Pines' and the 'Bluehouse'. When the weather and swell is right it is reported to be the longest left hand break in the southern hemisphere and was featured in the famous surf film, 'The Endless Summer'..
Tokerau Beach is 17km of beach on the East Coast of the Far North. A real favourite with the locals and boasts some great fishing. 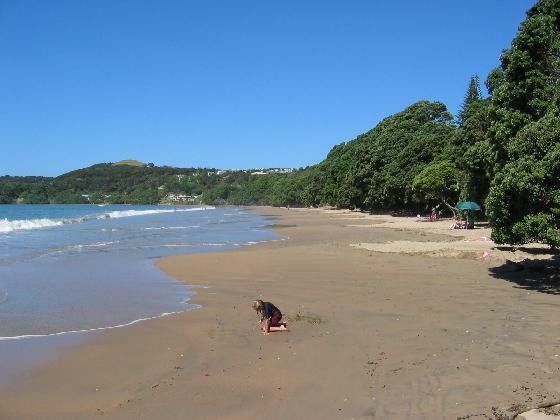 Taipa is situated in the tranquil setting of majestic Doubtless Bay, surrounded by the warm tropical waters of the Pacific Ocean with excellent fishing and swimming. This area of the Far North is known as one of the premier game fishing spots in the world.